A pint that doesn't cost the earth - now that is truly refreshing! 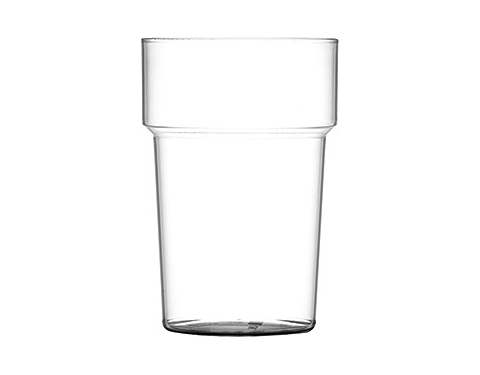 The material used in the construction of these glasses is drug and food approved and has excellent clarity, however they will break if dropped on a hard surface. When tested these great value glasses last 100 cycles in a standard dishwasher with no visual detraction. 132 x 88 mm dia.